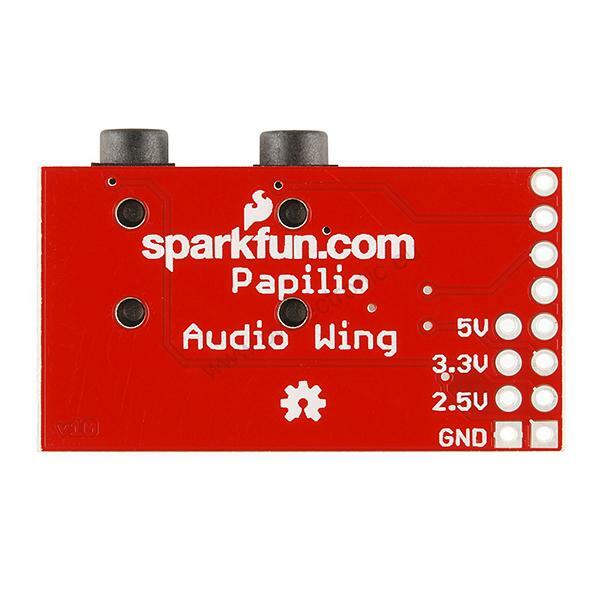 Description: The Papilio Audio Wing is a fast and easy way to snap into audio capability. 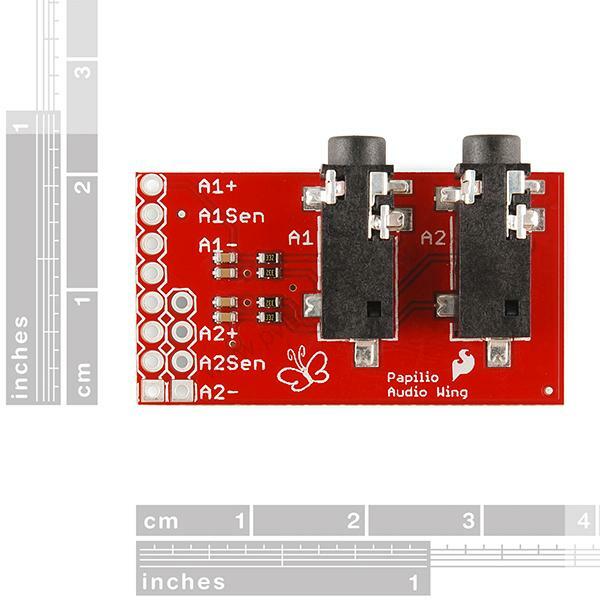 Plug the Audio Wing into your Papilio FPGA board and you'll have two stereo channels on two 1/8" jacks. 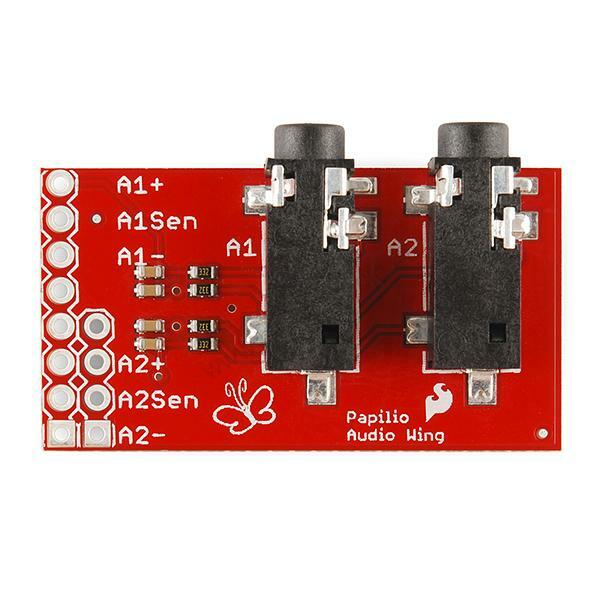 The detect pins are also broken out so that your Papilio board can sense when an audio connector is plugged in. Note: This product is a collaboration with Jack Gasset. A portion of each sale goes back to him for product support and continued development. Features: • Delta-Sigma ready for high quality stereo output. • Two stereo channels with left and right outputs. • Two 1/8" stereo jacks. • Low pass RC filter. 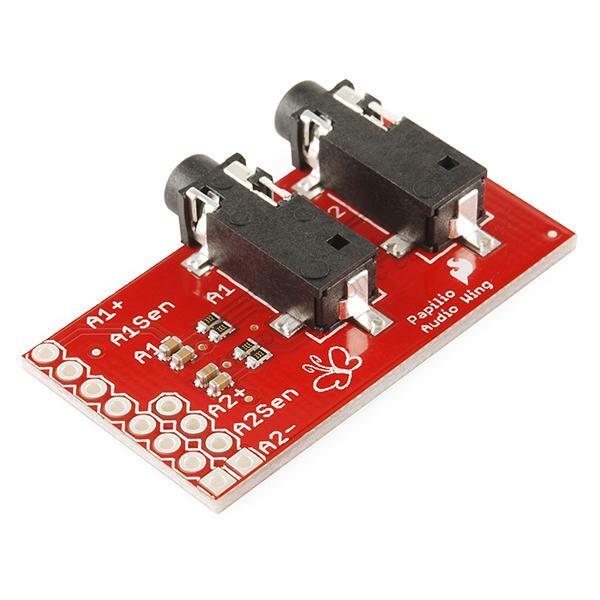 • Connection sensor pin to detect when speakers are connected.